There is a prompt disclaimer on the dust jacket cover of the delightfully irreverent Snappsy the Alligator, spoken by the title character via a voice bubble to a rooster, duck and rabbit, that it was not his decision to be included in the book. The exasperated reptile also responds to the statements made by the book’s creators on the inside flap. The first one warns readers: I’d be careful around Snappsy the alligator if I were you. Snappsy challenges the disingenuous censure by asking “What?” and “Why?” He also denies hunting tiny birds and fuzzy bunnies, possessing a hankering for foods that start with the letter “P” and accuses him of being a “shoddy craftsman” in his home. 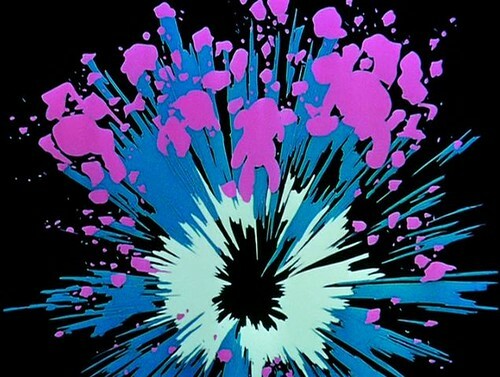 While we are clued in on the narrator-main character incompatibility, it is up to author Julie Falatko and illustrator Tim Miller to allow the phrase “the proof is in the pudding” to play itself out. 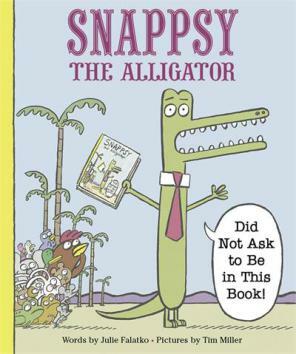 One is tempted to suggest that if Chuck Jones was in the business of writing picture books, Snappsy the Alligator would be just the project he’d conjure up.